Sorting out my nail polishes the other day I realized that the overwhelming majority of my nail polishes are blue and purple. Not too much of a surprise, as I’m not a big fan of the traditional girlie pinks and reds. I thought I’d share a few of my blues with you since I have so many. Enjoy this blue spam! 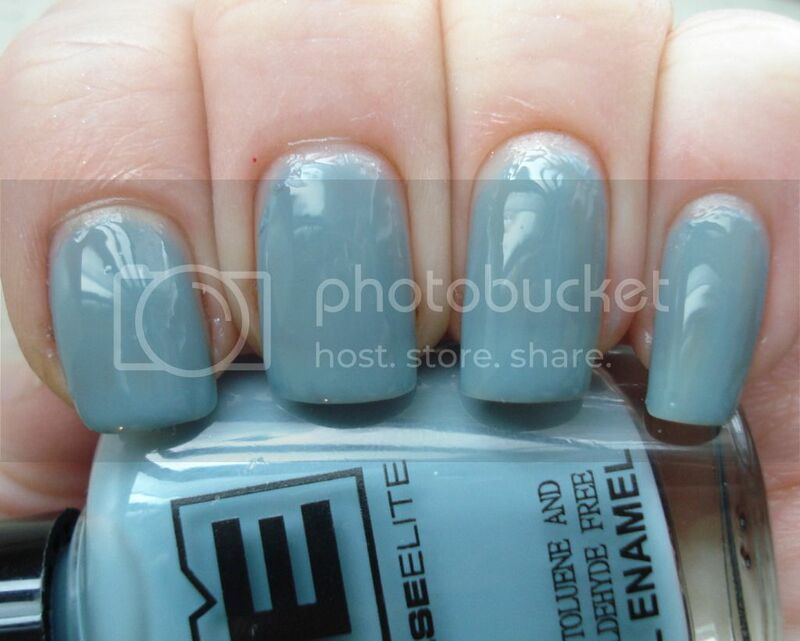 Wet N Wild Rain Check is a bluish grey pearl polish. 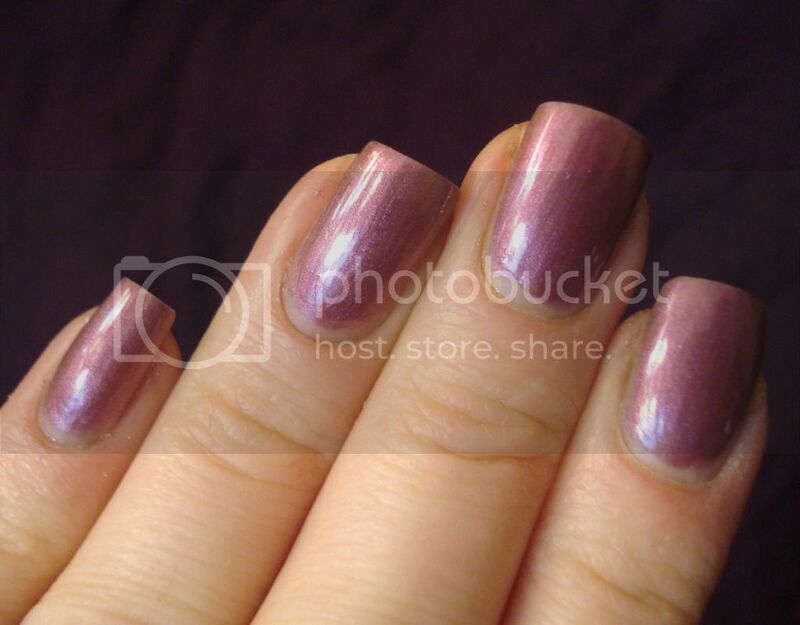 While there’s a hint of duochrome in the bottle, it doesn’t show up as strongly on the nail. The consistency is watery and three coats were needed. But the color is so delicate and moody that I didn’t really mind. It really does remind me of a rainy day. 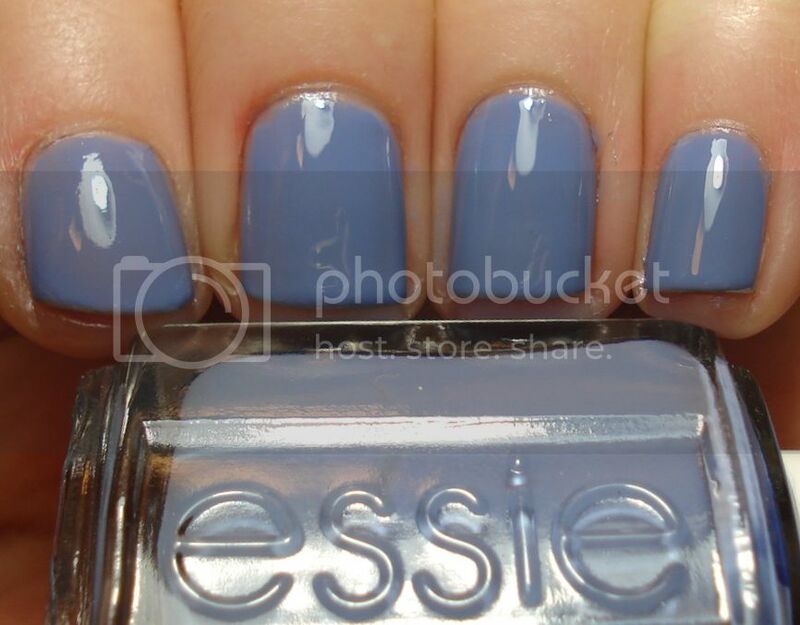 Essie Lapiz of Luxury – a periwinkle blue creme that has a jelly feel. Despite the watery finish this one covered pretty well. This is three coats. Mattese Elite Lapis is another jelly blue. 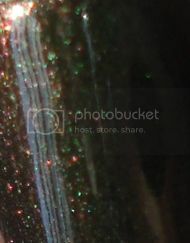 This one has more of a greenish undertone. This one is so unique, I just love it. 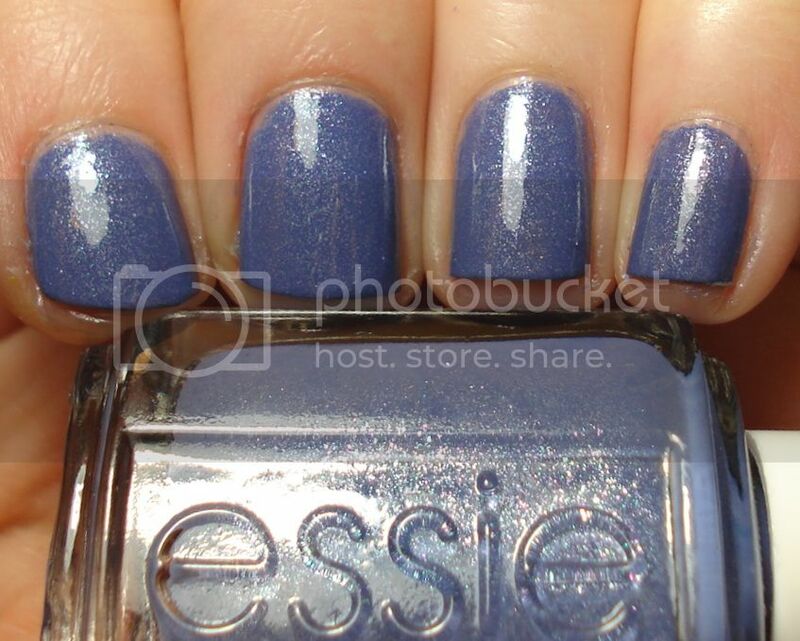 And another Essie – Smooth Sailing. 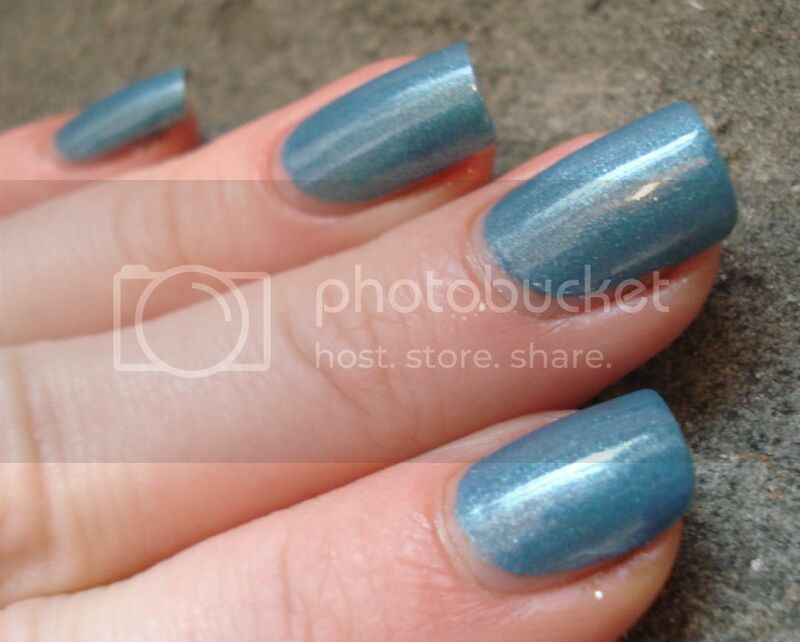 This is another periwinkle blue, with the addition of feathery silver flakes that add some depth and sparkle. 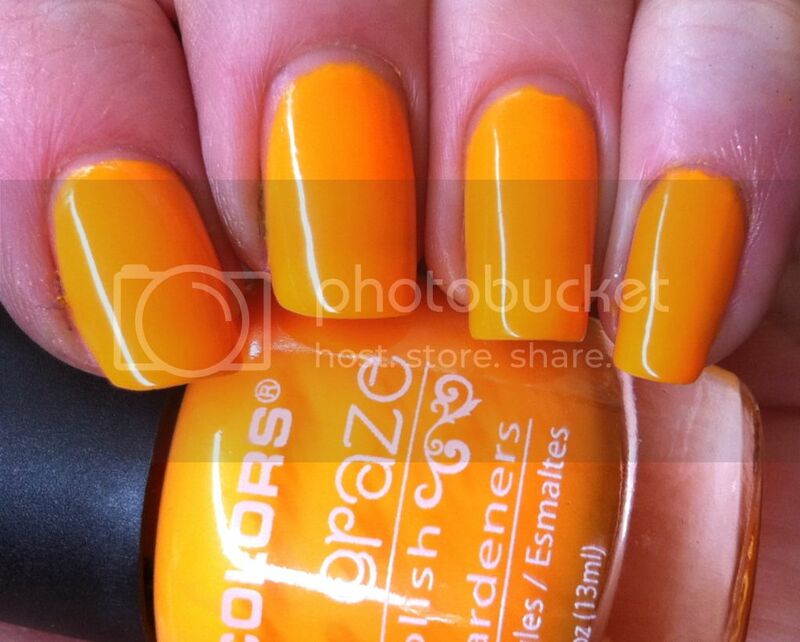 A very sophisticated, summery shade that would work well as a pedicure polish. 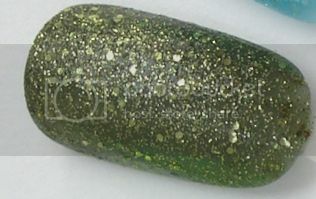 This next polish is a franken I made! 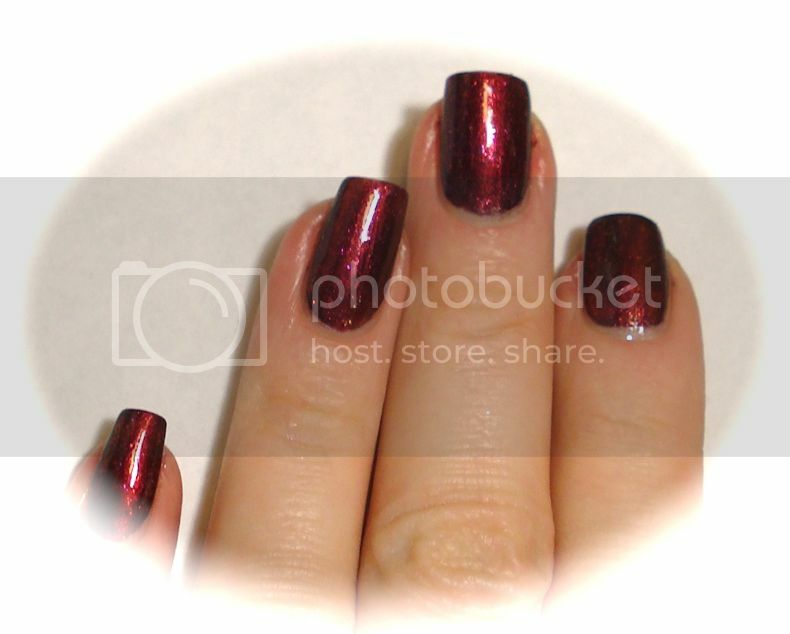 It was my first attempt at mylar flakies, which, let me tell you, are not pleasant. 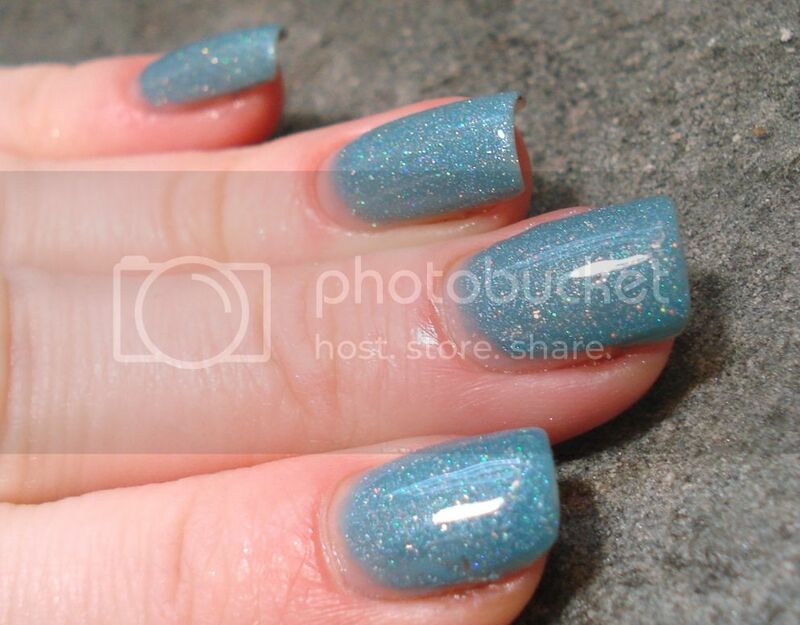 I bought some iridescent turquoise blue flakies at Ricky’s but they were a bit too large for nail polish. So, I used some nail scissors and cut them down. What a tedious process! I’m still picking flakies out of my carpet a month later. 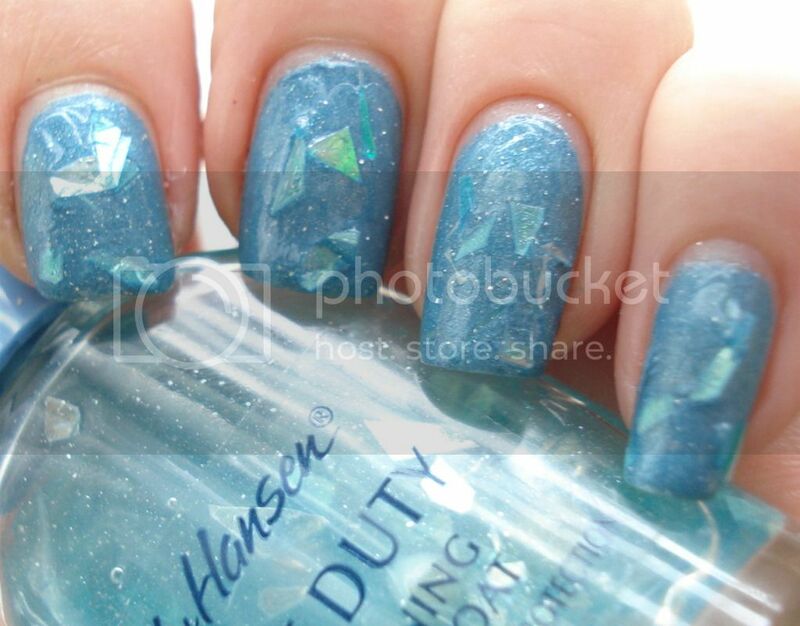 I dumped them into a clear base with a few drops of Milani blue holographic nail polish for some shimmer. 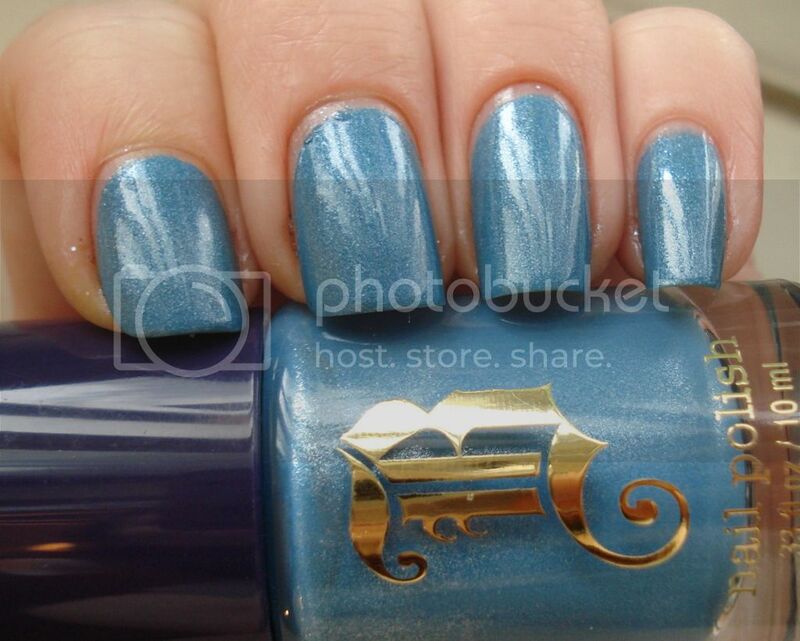 I believe there are a few drops of Sally Hansen Fairy Teal in there, too. This is one coat of my lumpy franken over two coats of Brash Electric Sky. It reminds me of mermaid scales. 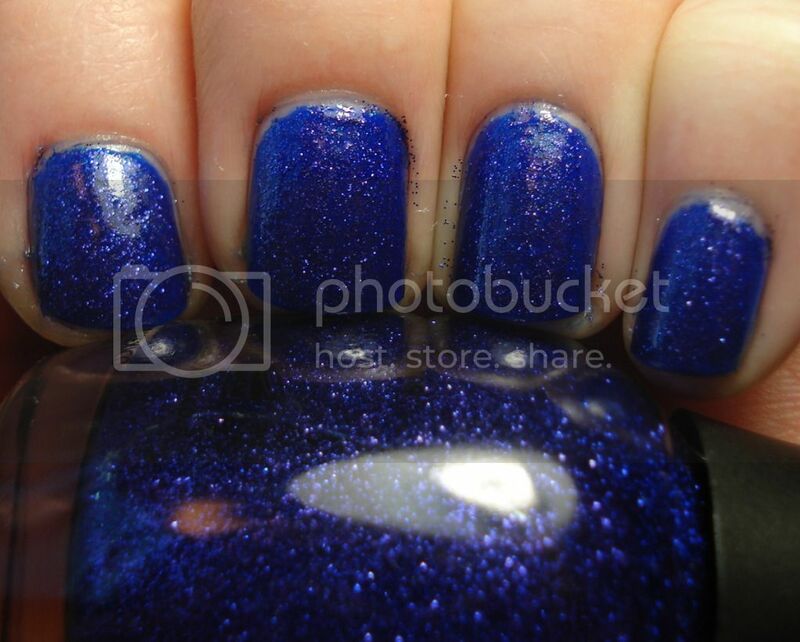 Sally Hansen Xtreme Wear Marine Blue. I’m not sure if this is discontinued? It’s HTF at the least I think. 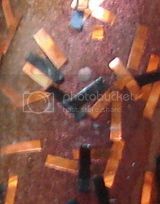 As you can see the polish consistency wasn’t very thick and tended to thin out at the nail tips. I hate that. I also got some bumps but that’s my fault for not letting my layers dry enough. 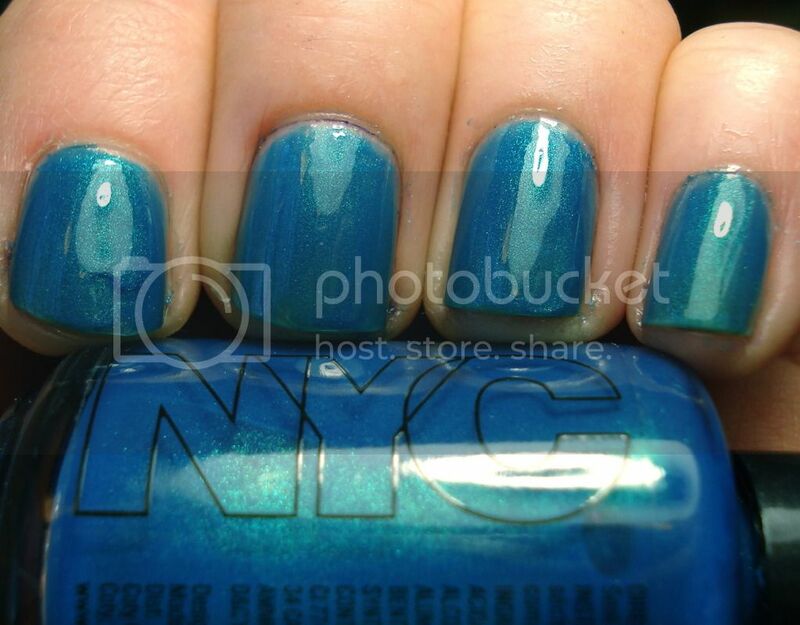 And the SH as compared to NYC Empire State Blue. They are very close but not dupes. I actually preferred NYC’s formula; it was easier to work with and covered better. 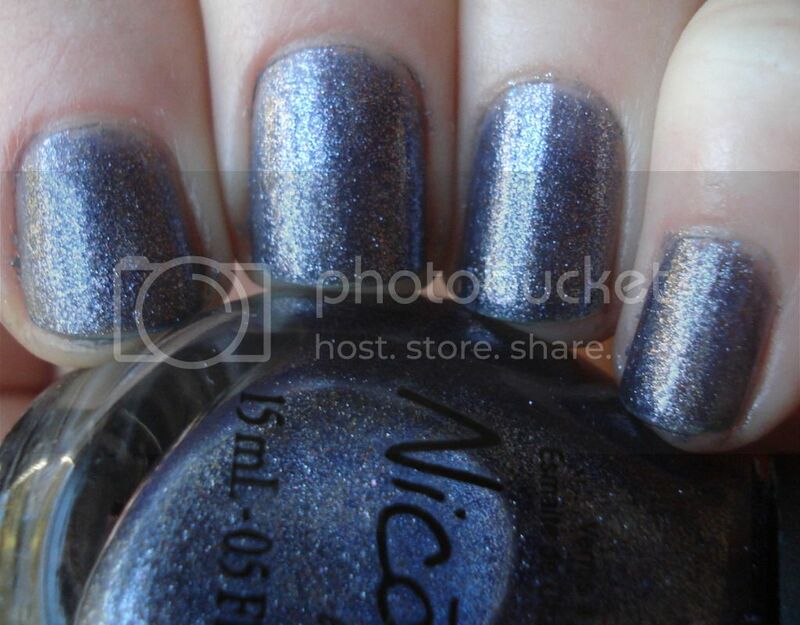 Nicole by OPI It’s up to Blue. I believe this is a Target exclusive. What a frustrating color. 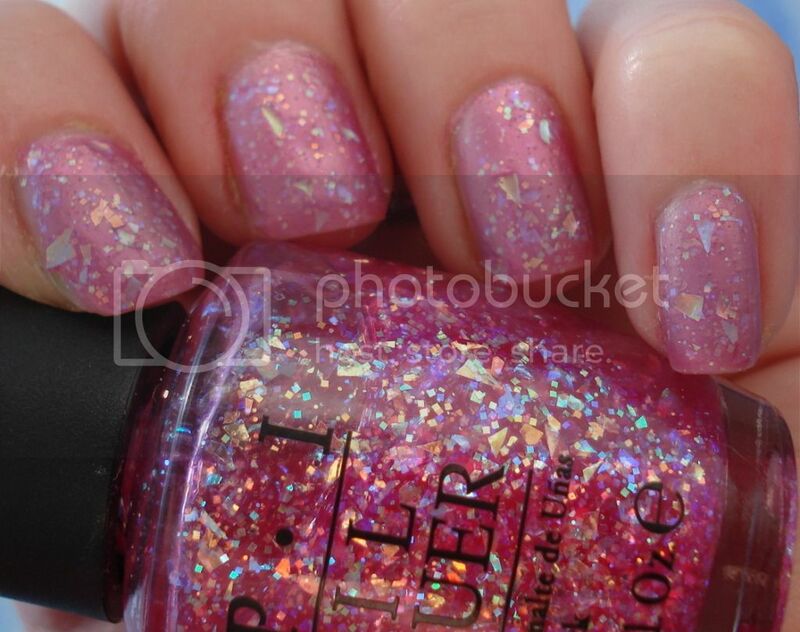 I bought it shortly after falling in love with OPI Brand New Skates, hoping that it would be a close cousin. Well, it was and it wasn’t. Although the foil is very similar – shifting from blue to violet to gold – I had a nightmare of a time with the formula. So streaky and sheer. I almost wanted to take it off and start over again. This is my semi-decent attempt at a manicure. Next time I’ll avoid a headache by painting this over black. Let’s see some dark blues, shall we? 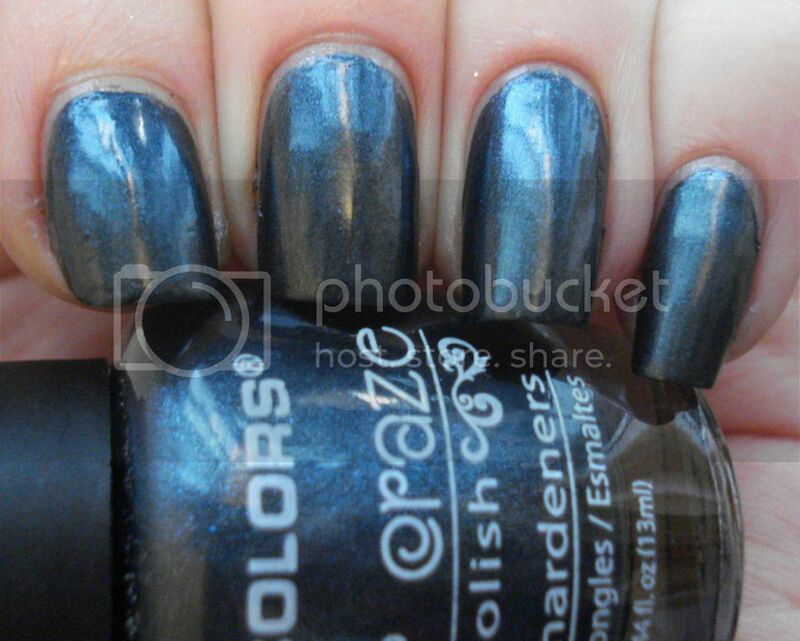 This is LA Colors Craze Blue Lagoon. Steely without looking black. 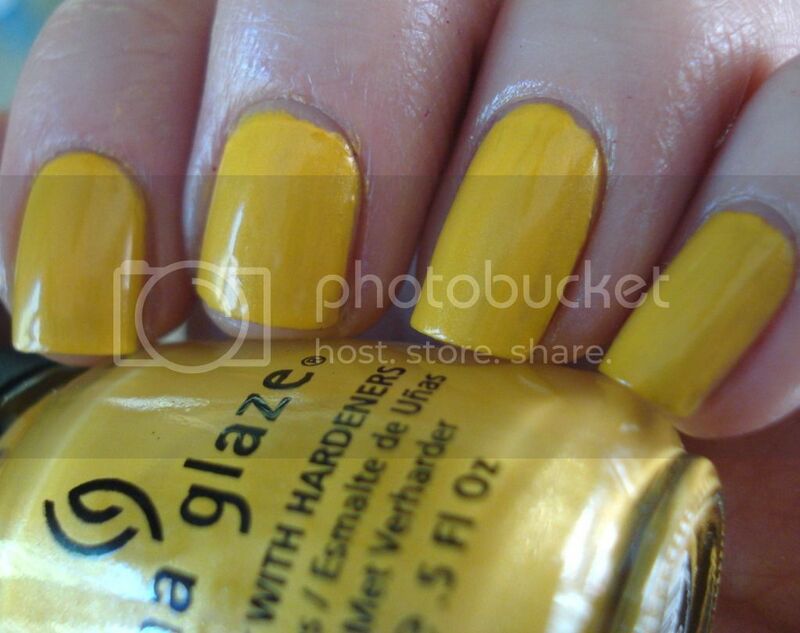 China Glaze First Mate. A pretty, well-behaved creme – no complaints here. I felt positively naval wearing it. Then I added a coat of Revlon Blue Mosaic glitter. It contains mainly light blue hexes with a few large kelly green and silver ones thrown in. 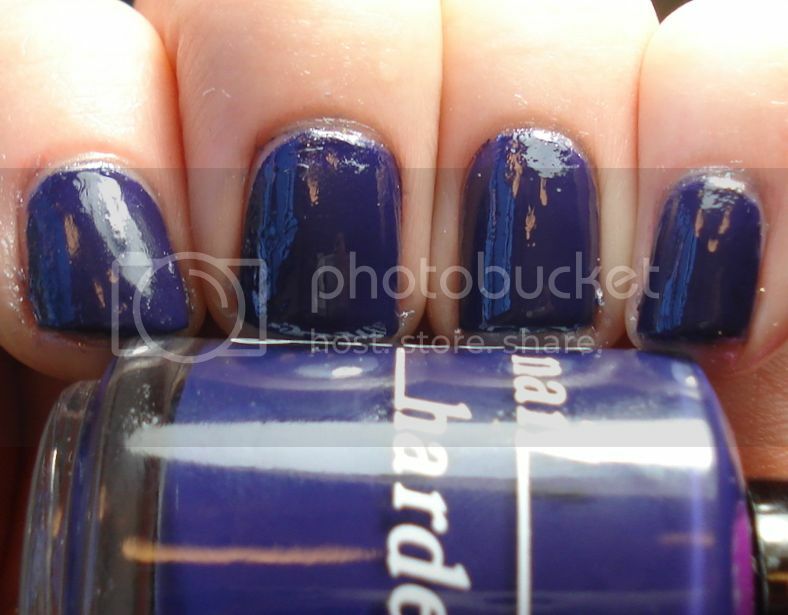 Brucci Heavenly Julia is a grape-tinged dark blue – dare I say blurple? Anyway it is perfection. So juicy. 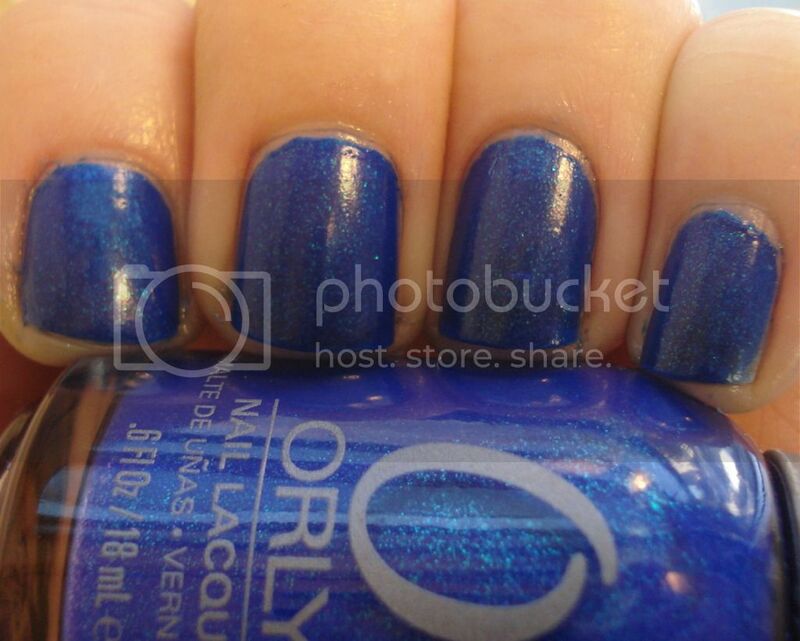 Layered over ORLY Royal Navy, a blue glass fleck. This one is almost electric, it has a lot of depth. 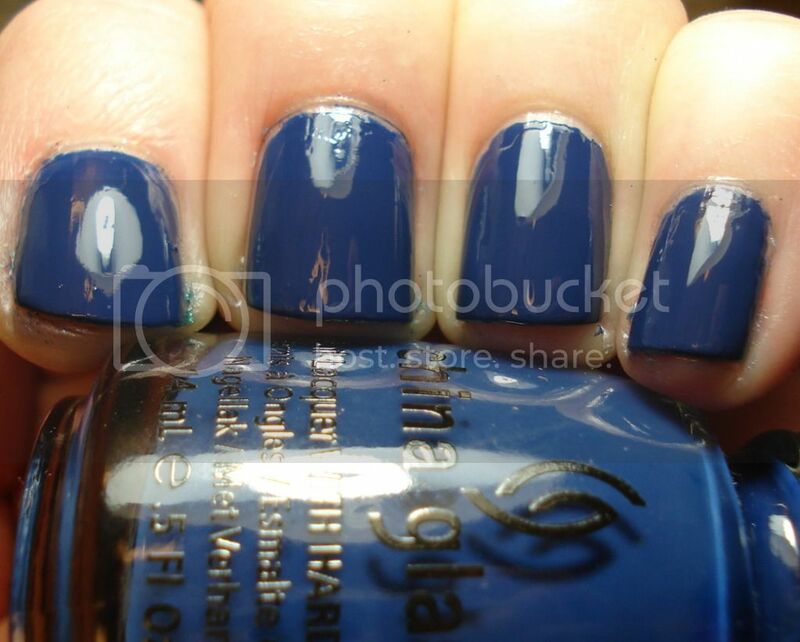 Kleancolor – I forget the name of the shade. Actually this brand is called Mak3 Color, a dollar store version of Kleancolors. 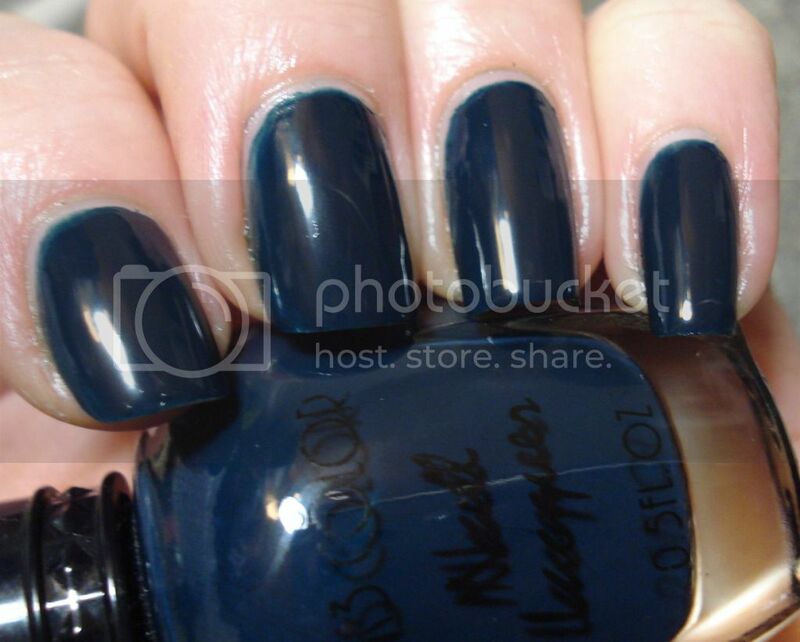 Cool dark navy with a jelly finish. Halloween is less than a week away! 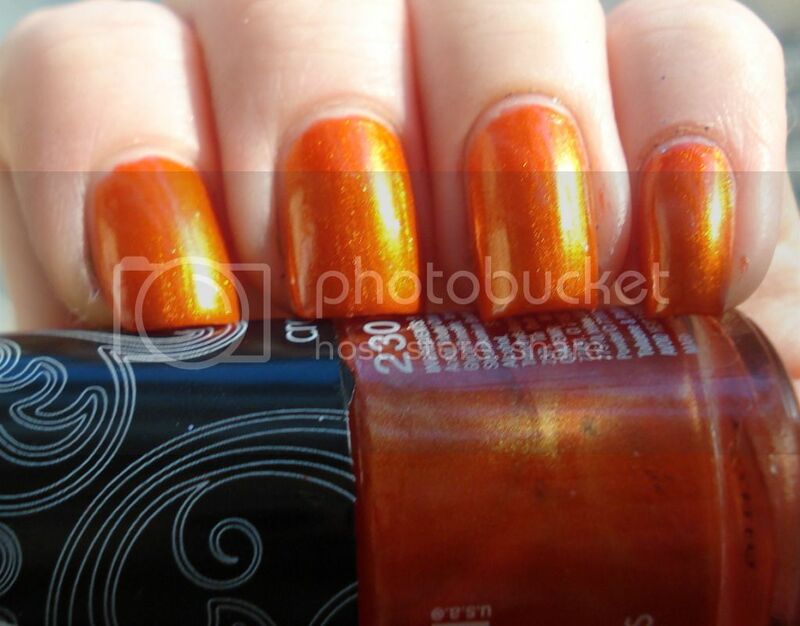 Here’s a medley of random nail polishes that would make for sweet Halloween nails. 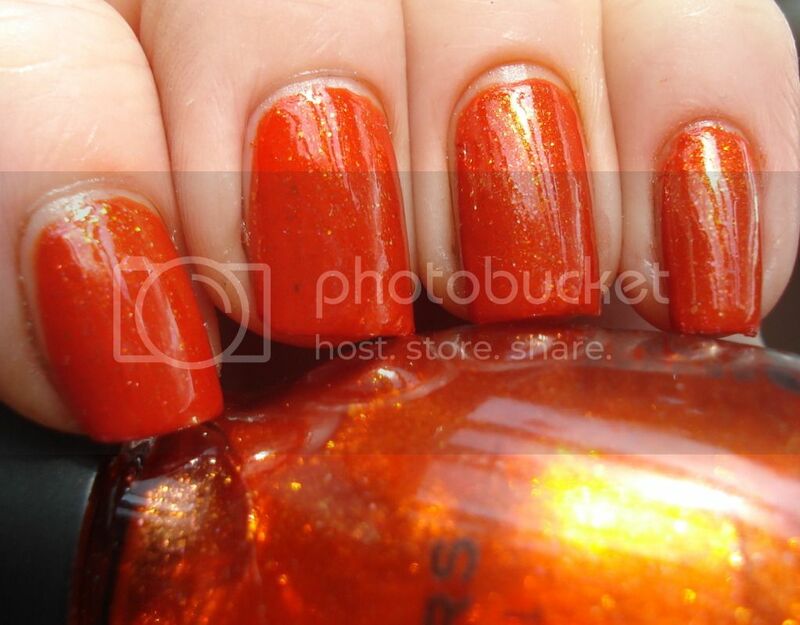 This is Pumpkin orange and black bar glitter – the nail polish that comes in the super cute pumpkin-shaped bottle. 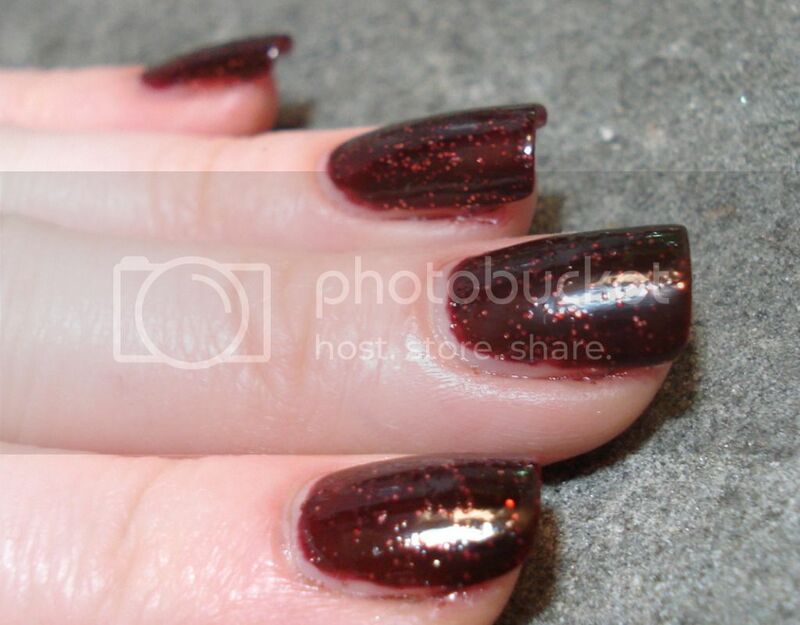 I used two coats on top of CG Idyllic, a burgundy-based duochrome with a gold/green shift. P.S. What’s the difference between “bar” and “string” glitter? Or are they synonyms? Mattese Elite (ME), a brand sold by Ricky’s – I can’t remember for sure, but I think this is called Purple Sky. It’s a dirty dark eggplant that leans towards grayish brown in certain lights. This is a good zombie color I think! Wet N Wild “Craze” Inferno. Wow, look at that glow in the bright sunlight! 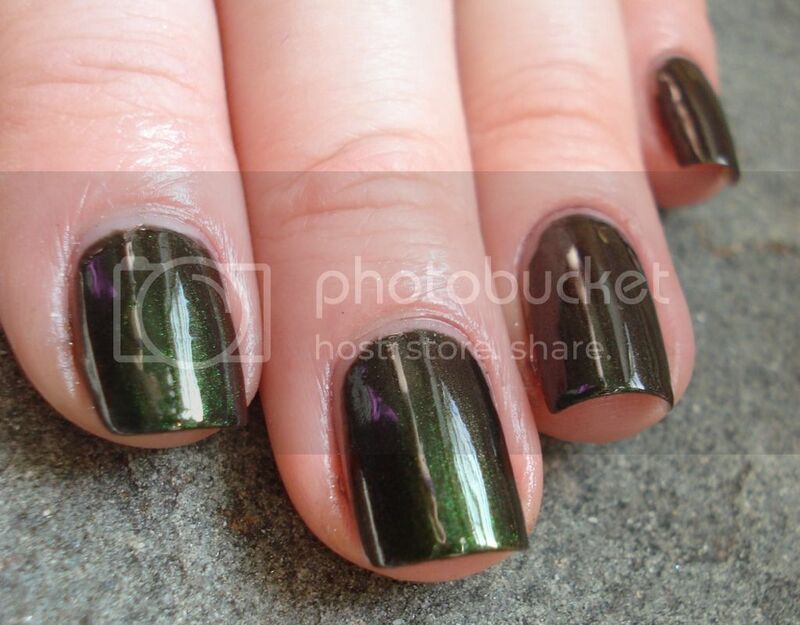 Brucci Black Emerald is one of my favorite colors of all time. It’s black, it’s green, it’s heaven. 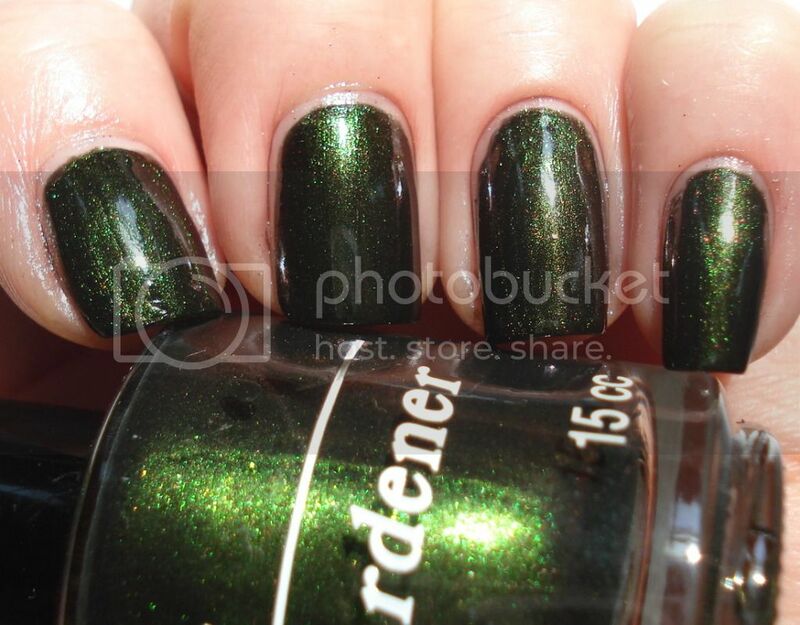 Good color for a witch or swamp monster! 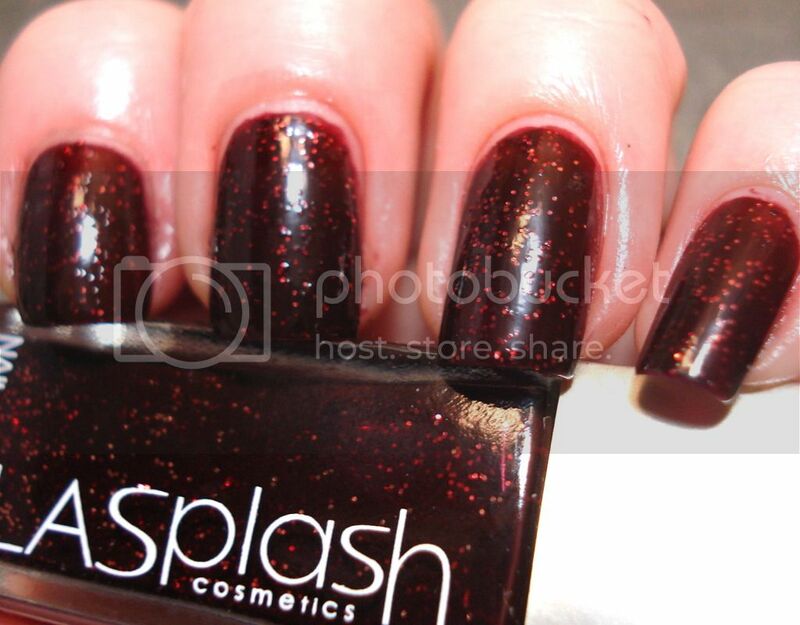 LA Splash Crimson Tide is a dripping bloody red glitter for vampire vixens. 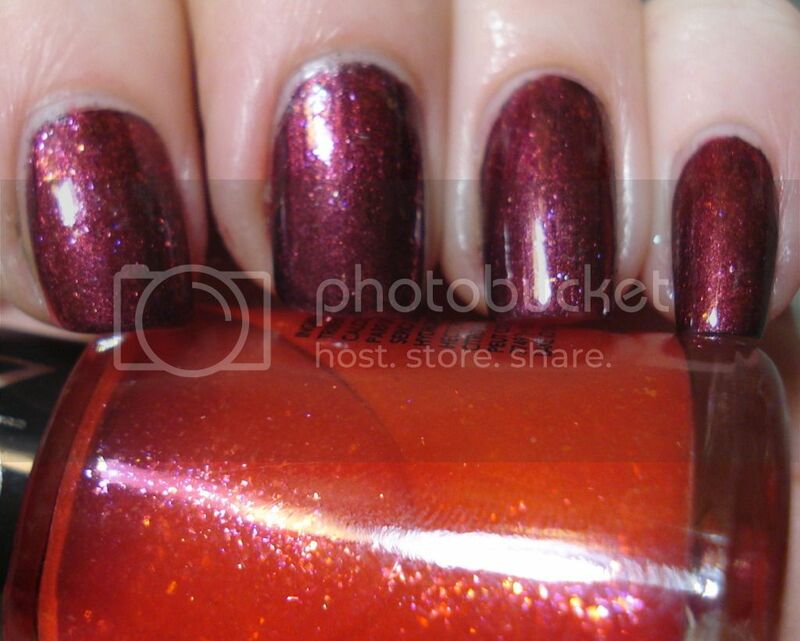 Due to its dark red jelly base it builds up nicely in 3 juicy coats. 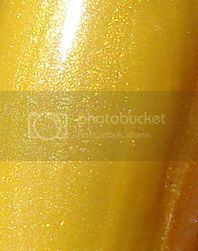 Kleancolor Golden Nightmare has a funny name. I agree with the nightmare part but “golden” sounds too angelic. 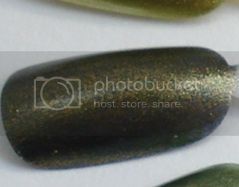 It’s a black base with greenish gold glitter. 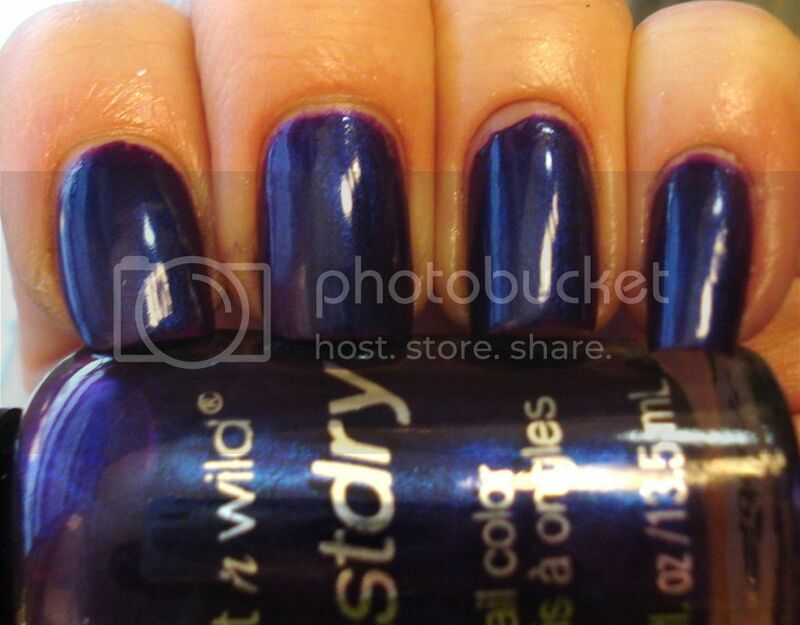 It’s very bumpy on its own and begs for a solid topcoat. It reminds me a little of China Glaze It’s Alive meets Nina Ultra Pro Mossy Britches. 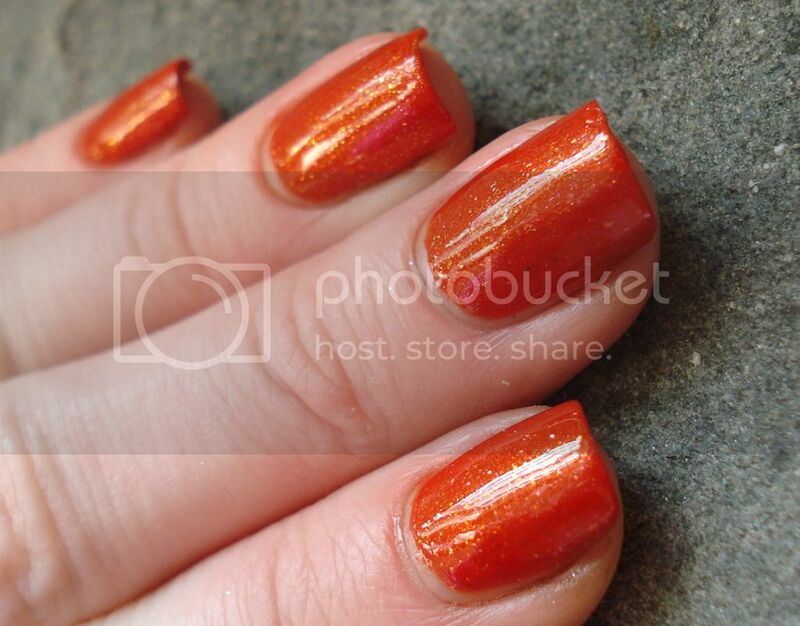 Sally Hansen XTreme Wear Pumpkin Spice is an orange glitter with a brown jelly base. Here’s how it looks matte. Sinful Colors Serena and Chloe, an orange glass fleck in a jelly base. This one is so pretty. 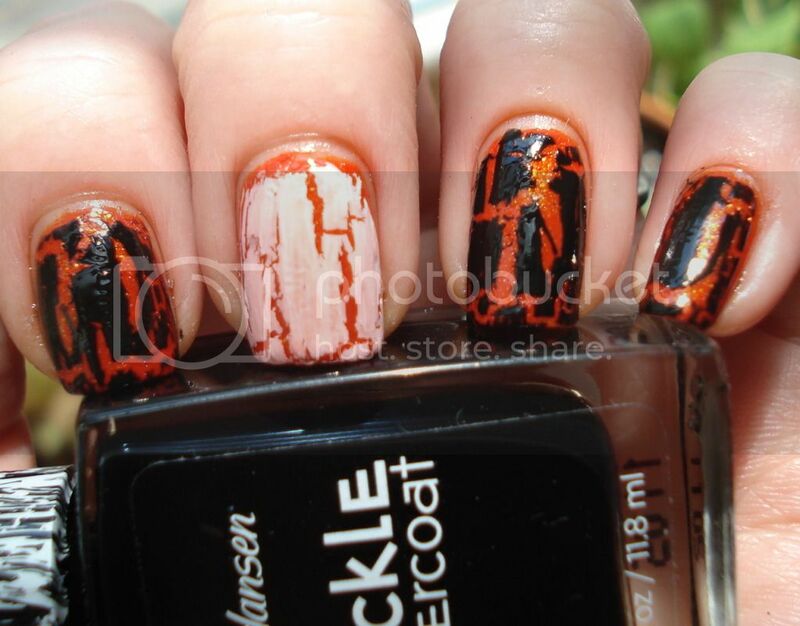 Then I used some crackle on top for extra Halloween flair.